Maruti Suzuki management has not given in to the stubborn attitude of the agitating work force. Maruti has made it clear to the workers need to follow discipline and sign the “Good Conduct Bond” before they can resume their duty at the Manesar plant. This situation has created scarcity of the labour force at the plant, as a result of it, the Maruti Swift 2011 production took a setback. Maruti has even started the Swift production in parallel at the Gurgaon Plant along with Manesar to ensure that there is no further increase in the waiting period of the Swift. 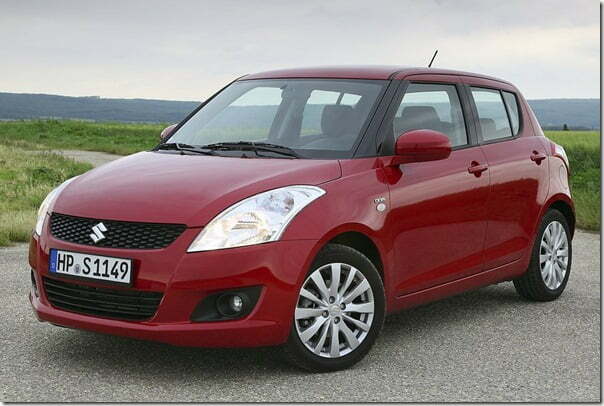 Some Maruti dealers had even stopped taking fresh bookings for new Swift as the production was too delayed. As per a latest development reported on 13 September 2011, Swift production has been restored to about half of full capacity the levels at Manesar with the help of new recruits. Some of the work force has agreed to sign the “Good Conduct Bond” and have returned to work while a large part of workforce still remains off the production. To counter this problem, Maruti has started hiring new Labour force at Manesar plant and will continue to ramp up the production to make it close to normal levels of about 12,000 Maruti Swift units per month. It may take some time before the normalcy can be achieved as there is some time involved to deploy new work force and train them for their job on production floor. Maruti Suzuki Workforce which is not returning to work on the other hand is expecting some government or government authorities to intervene and resolve this deadlock, but as of now, there is no such intervention in sight. We hope things to get resolved soon and production to get back to normal. To get more updates and latest news, you can stay tuned to us by liking our official Facebook Page and signing up for our free email newsletter.